Dit is DE kans om je liefde voor de klimsport en het slacklinen te uiten ten gunste van een goed doel! Ga daarnaast een enorme uitdaging aan: WE DARE YOU! De Challenge: Klim of slackline in teamverband de daadwerkelijke 4478 meters -de hoogte van de Matterhorn/ Monte Cervino- in maar 8,5 uur!!! Team ‘Luxembourg / Belgium’. Captain: Follows. Team ‘Follow the Leaders’. Captain: Follows. Naast deze fysieke uitdaging neem je deel aan een uniek event waarbij wij als klim & balans- aapjes fondsen werven voor aapjes in nood. We zetten ons in voor Stichting JAAN (Jakarta Animal Aid Network) tijdens dit gezellige minifestival. Voor meer info over JAAN klik hier! Vanwege groot succes van de eerste keer, gaan we het nogmaals doen en is dit de 2e editie van het festival. Deze keer breiden we het event uit met een kampeeroptie naast de berg, kampvuren, muziek om de berg (djembee, gitaar…). En een dansfeest IN de berg. En…natuurlijk slacklining! Prijs: 25 euro incl. camperen – 15 euro alleen de zaterdag – 5 euro alleen de dansavond. Je krijgt bij de overnachting een gratis entree voor de zondag onbeperkt te klimmen!!!! Voor meer info over de locatie en de bijzondere klimberg Monte Cervino, klik hier! Eten 7,50 euro avondeten zaterdag, ontbijt zondag: 3 euro. Stamina veggie meal! Wil je mee-eten, mail info@greenmonkie.eu. Aanmelden teams of vragen: info@greenmonkie.eu (je kunt je ook individueel aanmelden). En, meld je aan op het FB-event : klik op ‘deelnemen’ om op de hoogte blijven!!! Like our Greenmonkie page right here! 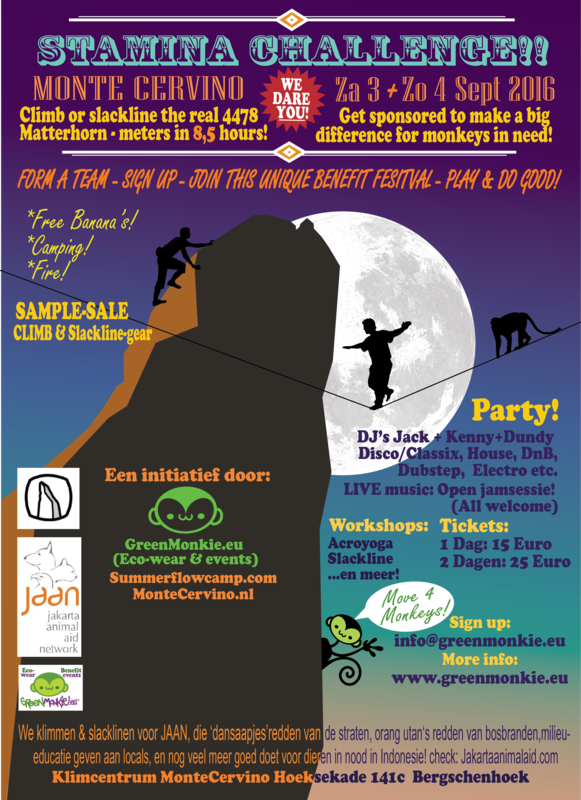 This is THE opportunity to express your love for climbing and slacklining in favor of a good cause! Also there is this huge physical test: WE DARE YOU! The Challenge: Climb or slackline team the actual 4478 meters -the height of the Matterhorn / Monte Cervino- in only 8.5 hours !!! In addition to this physical challenge, take part in a unique event in which we -as climbing and balance monkeys ourselves- raise funds for monkeys in need. For more info about JAAN click here! Due to the big success of the first time, we organize the 2nd edition of the festival. This time we extend the event with a camping option next to the mountain, campfires, music to the mountain (djembe, guitar …). And a dance party IN the mountain. And … of course the slacklining challange! Price: 25 euros including camping – 15 euros only Saturday – 5 euro only the dance.. If you stay overnight: You get a -climb- unlimited- free- admission for the whole Sunday !!!! For more info about the location ande the unique climbing structure Monte Cervino, click here! Food 7.50 euros dinner Saturday, Sunday Breakfast: 3 euros. Stamina veggie meal! Would you like to have dinner, mail info@greenmonkie.eu. And, sign up on our FB event by clicking ‘join’ to stay on informed !! 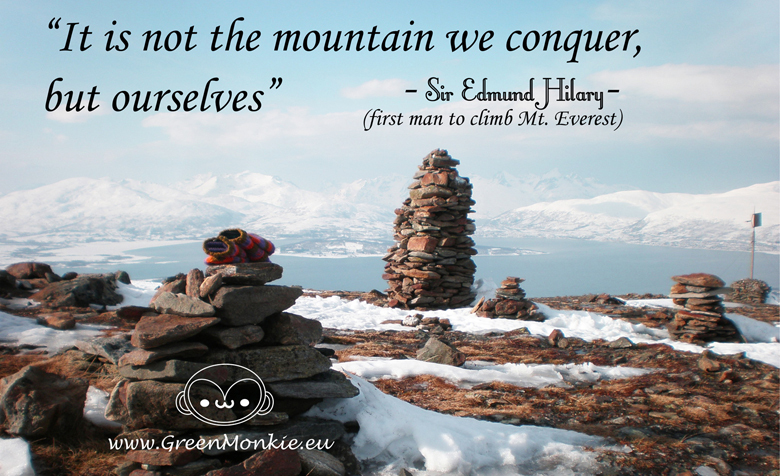 Like our Greenmonkie page right here ! This girl can climb y’all!!! While most people chill out on a lazy Sunday, a bunch of hard climbing youngsters had a strong battle on the wall. 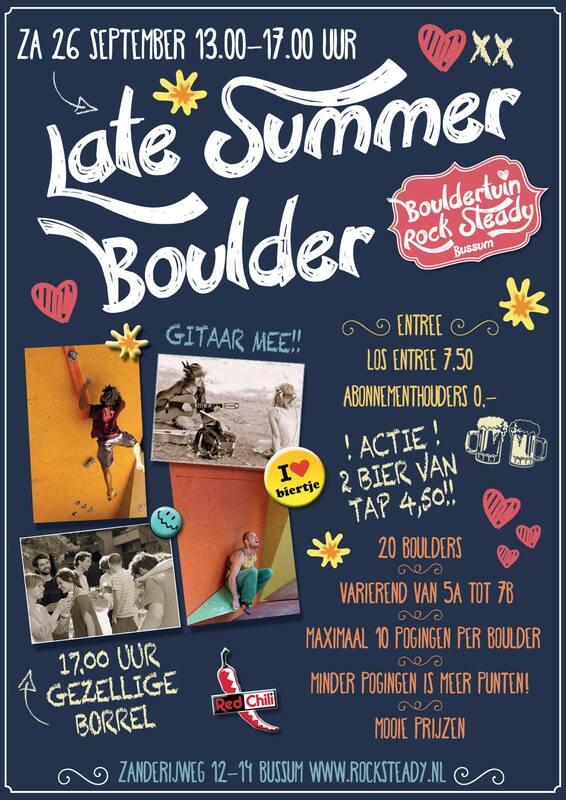 Organized by our GreenMonkie- supporting climbing centre Rocksteady in Bussum! Yesterday was -again- her night! YES. You read it right, just one day before she did a 21-hours adventure race. What is her secret?! We wonder. 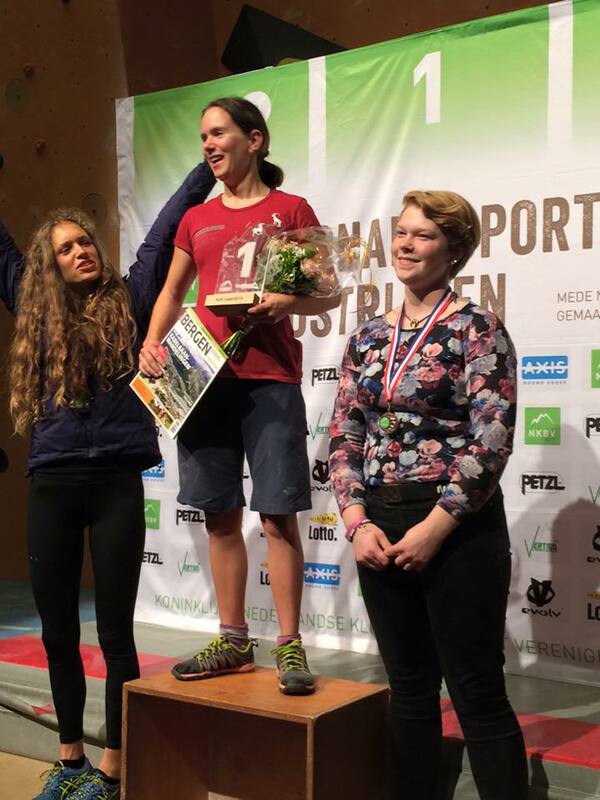 And by the way, she will be competing AGAIN 28th of November, at the Dutch Championships! Check Aniek blog here ! organizes an awesome boulder event!! More information you find at their facebook event page. Climbing animal in ACTION! Aniek’s calm & smooth skills in this vid! Under pressure during this Lead-competition, she stays calm & smoothly climbs on. What grade or level could this route be? Is the questions arising…. 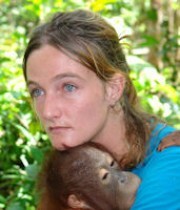 All we know is that Aniek is climbing sharp, and we are happy to support her! Dedicated to help monkeys out of misery into a happier life. 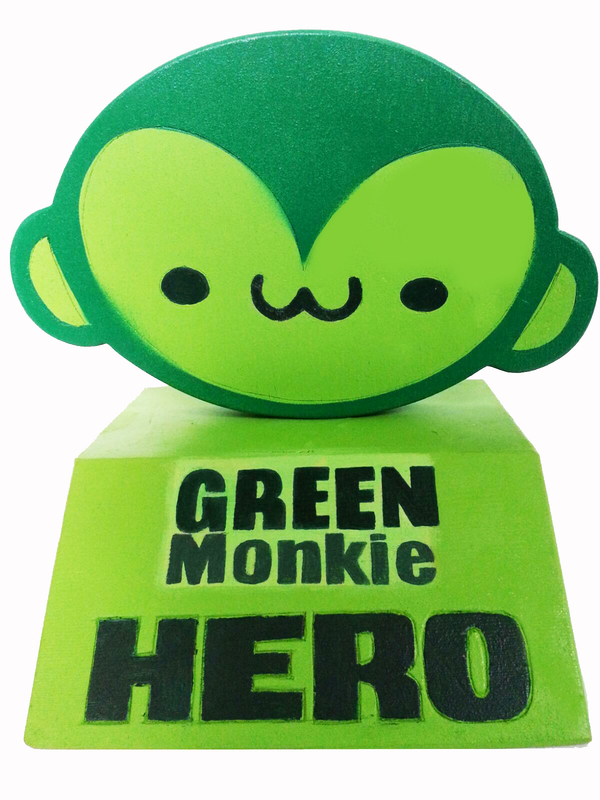 Vote via this link for your favorite Monkey-hero, support them for winning the GreenMonkie Award 2015 !!! You love climbing? Or are you a mountaingoat? Check our Ibex- shirt here ! It’s not just a sport that I have been practicing for over a year. Two and a half years ago, my life changed completely. Divorced after 12 years, with two boys under the age of 7. I wanted to go do something I could do on my days alone, what I would find exciting and scary, a distraction, something new and I thought of climbing. Never done it, no one I knew did it and I went. The first four weeks I did not go higher than the first eight meters. Not ever. No way. I was heavy, uncertain, but something got a hold on me. After the first lesson I bought all my own climbing gear and I kept on going every week. 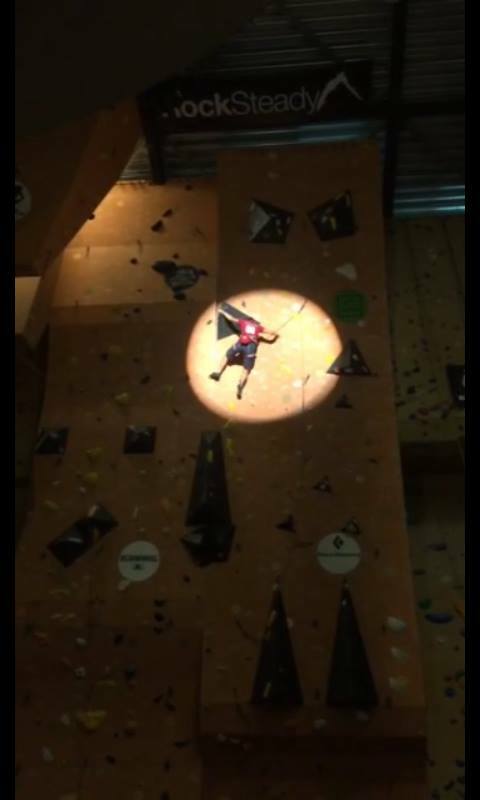 Still no one to climb regular with, so I asked climbers with more experience, if I could go climbing with them. I found it scary. New people, the large open climbing hall, everyone seemed to look at me, to think I was weird, no good, I was so insecure. But I was hooked. Hooked! I grew slowly. With weeks of frustration, days of progress, moments of fear, sometimes with tears, sometimes with anger, but I stayed. Climbing changed me. Physically and mentally. I saw the progress, sometimes very small, sometimes larger, but the line, the growth was clear. And I loved it so much: the puzzle solving, the falling and yet continuing, being afraid but in a safe environment, people who helped, who were better, an example. New friendships, contacts, they let me see them and what they already could do. And I learned from them and I learned to see myself through the climbing. I am lighter, much lighter. Yes physically, but also mentally. Stronger , more resilient. More proud. Driven. Also still afraid. Frustration. Angry at a moment of fear. A route with a difficult crux. A step which I dare not take. A hold that is ‘too small’. No, my mind tells me I am small, not good enough…: ” You can’ t do this”. ” This reach is too far for you. ” Never mind! No way! “. I was and I am my own worst enemy and critic. Climbing thought me that. I want things to change. They have: yes I freeze or fold sometimes. I try more often to push my limits even though I am fearful. I have to. Because the progress is there, and more and more every day. It is not about the degree or difficulty . Those are just the bonus. Yes, 6a is rad. But how did I get there? By being afraid in a 4. Not trusting my feet. Not reading a route all that well. Scared of pushing my limits. 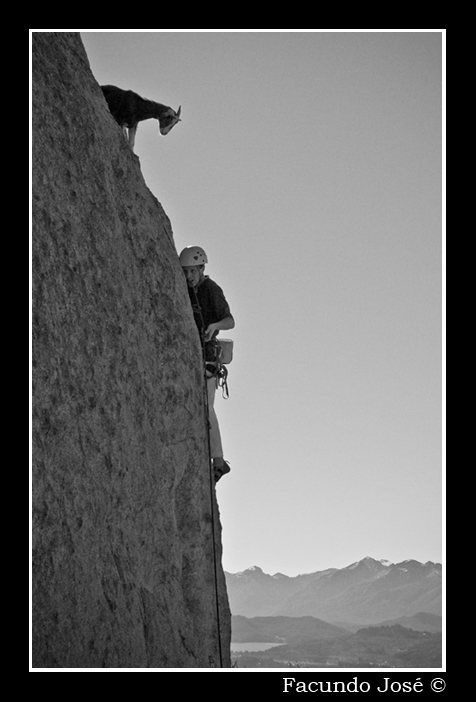 That is what climbing is: find your limit and go beyond it. Cross that line. Together and alone. Your very own fight, my fight, which you share with your climbing-partner. Watching. Asking. Learning. And on with your own process. I love climbing. And now I even love myself more.